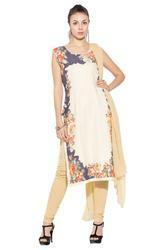 We provide a sensual range of Ladies Wear. 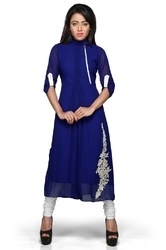 These include Ladies Fancy Kurtis, Ladies Kurtis, Ladies Tunics, Ladies Stylish Kurtis, Ladies Designer Gown, Fancy Ladies Gown and Embroidered Nightwear. 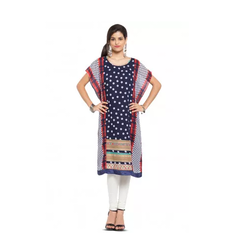 With a diverse range and market, our team of designers and and fabricators are dedicated to the utmost creativity to provide a competitive edge to our products. 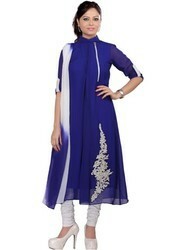 Our expert quality team is not only versed with the fabric material characteristics but also talented in the fashion and creative sense. 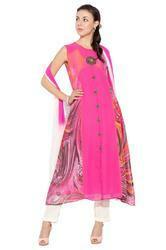 These garments are fabricated with latest machineries and expert hands. 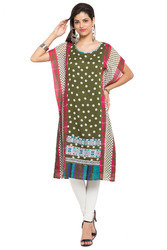 The design patterns are vivid as are the color combinations. 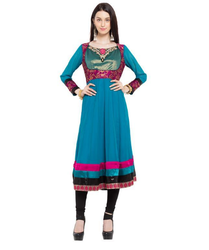 With Global market reach our products are reasonably cost effective. 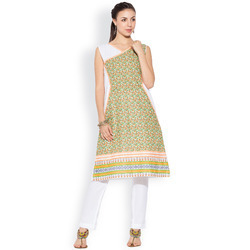 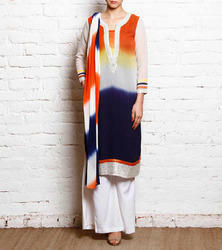 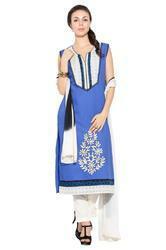 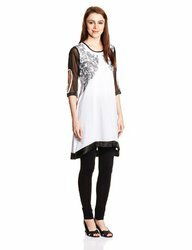 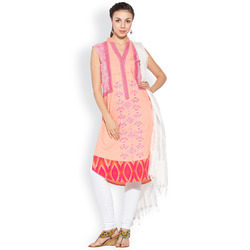 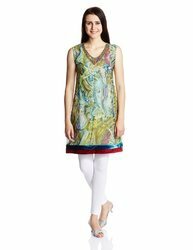 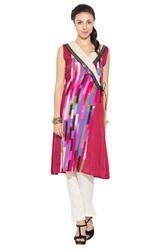 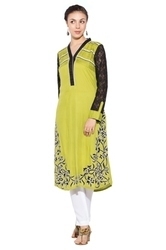 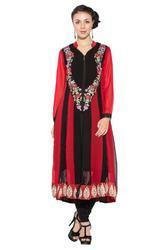 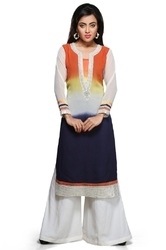 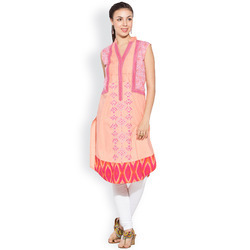 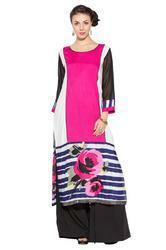 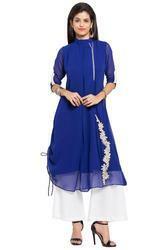 Semi Formal Ladies Tunic Kurti.